‘Tis the season of giving and all of us at TuGo always look forward to this time of year. We have an annual holiday tradition in December that’s one of our favourite office events of the year. 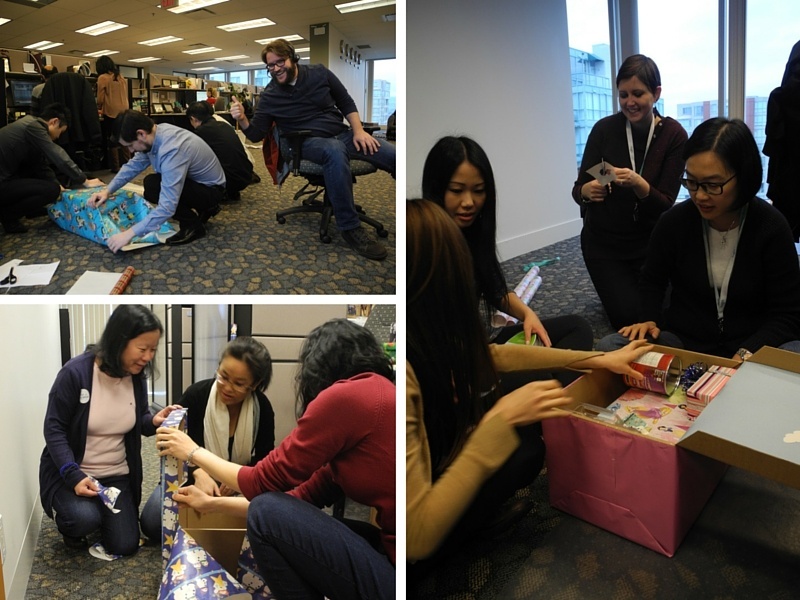 As part of our Social Responsibility initiative, TuGo employees volunteer to create and decorate gift hampers for families in need – and we sure get into the creative and competitive spirit! 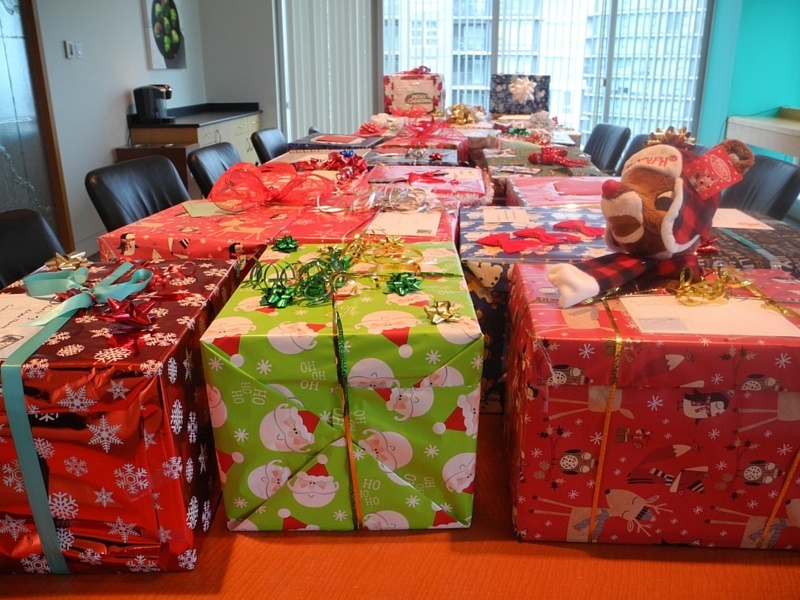 Every year for the last 15 years, we team up with Westcoast Family Resources Society to provide gift hampers to 30 deserving families in our community. 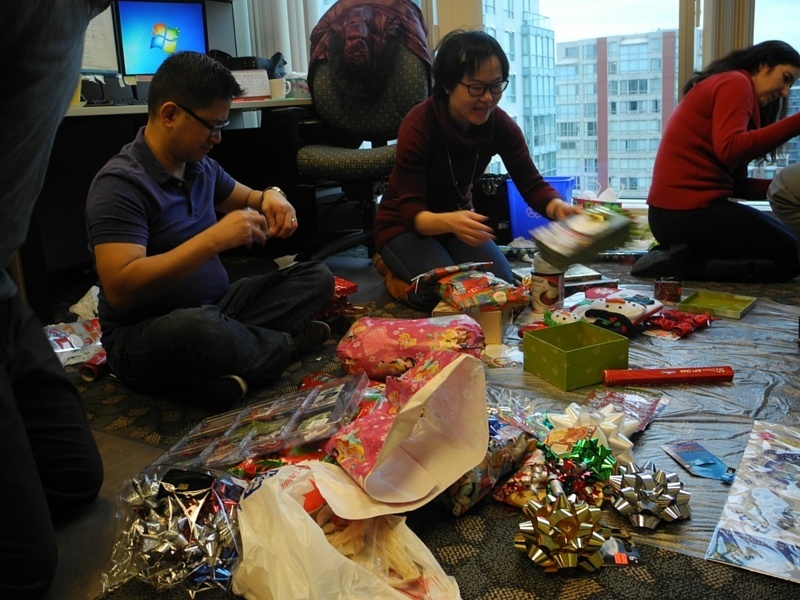 On the hamper decorating day, the office is transformed into a gift wrapping hub as ribbons, bows and shiny paper litter the office floor as the teams participate in some friendly competition for the best-decorated hamper. This “Holiday Hamper Hour” has become a favourite activity of many TuGo employees as it makes us feel like one big happy family, and it feels good to give collectively to those in need in our community. 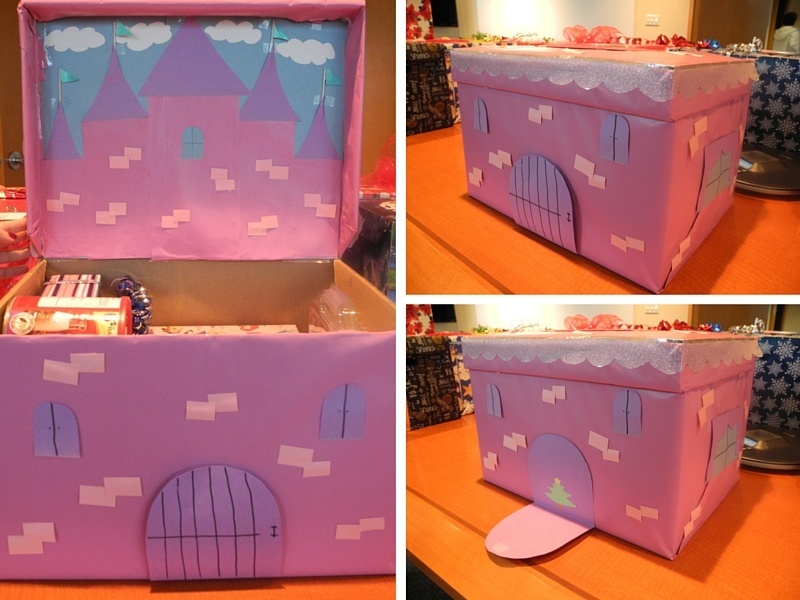 This year, the winning hamper was this magical castle created by Amelia, Cindy, Tracy and Nikki for a family with two girls. The judges loved the thought that went behind the design and have a feeling that the girls are going to cherish the box more than the gifts inside! The best moment is seeing all the hampers stacked together as they await delivery to the families. Seeing all the hampers side by side reminds us of the purpose of this corporate Social Responsibility initiative: ”acting as we would be acted upon” and setting some time aside to put a smile on a child’s face this holiday season! Volunteering with long term partners like Make-A-Wish® Canada and Westcoast Family helps us support a number of important causes. 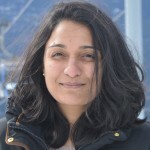 Check out other ways TuGo gives back to local communities and don’t forget to share some of your favourite charity initiatives during the holiday season.